How can you forget a vacation in one of the most visited cities in the world! It was a year now that I spent a vacation in the United States. Las Vegas is where I spent most of my time. It was a very memorable moment in my life...awesome experience! I love Vegas! 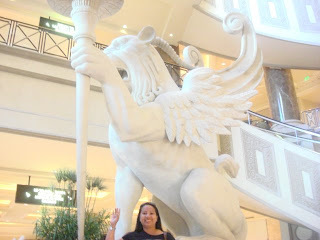 a photo taken inside The Forum Shop in Caesars Palace Hotel, Las Vegas, Nevada...amazing experience! Las Vegas, lovely city, you are lucky to be there..
Las Vegas must be fantastic indeed!